"Everyone seems very friendly—they give us their time of day, which is awesome. We’re just happy to be a part of it, and we hope to keep growing and going to the shows." Each year, newcomers to the ISPA Conference & Expo almost invariably comment on ISPA’s familial nature. Friends and colleagues convene to laugh, learn, dine and experience a life-giving atmosphere together much like they would for a holiday gathering. Brothers Jimmy, Conrad, and Lan Sansone know what it’s like to be part of a large and loving family, so they know what to look for when preparing to join another. 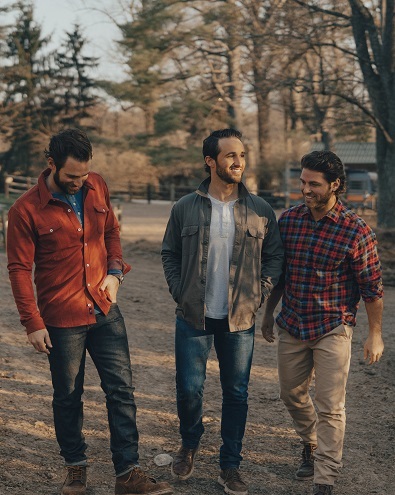 These humble, happy and driven brothers are the founders of The Normal Brand, a men’s clothing line looking to fill a void in the spa industry market. Despite having no background in fashion or design, the Sansone brothers have always loved clothes and dressing for the occasion. However, one thing seemed to evade them as they grew older: a comfortable, versatile and stylish shirt. In a word, they wanted something “normal,” but couldn’t seem to find it—and out of necessity, The Normal Brand was born in March of 2015. Jimmy, the first of the brothers to graduate from college, came up with the idea and the other two jumped in to help. Parents and siblings all pitched in to get the brand moving, quickly starting their movement and networking with the siblings’ many social circles. Truly an immediate and extended family business, The Normal Brand’s modeling, photoshoots and marketing are all sourced from within the family. Lan handles wholesale, Conrad manages the online store and Jimmy controls production and creative initiative. All of them work together as they navigate the challenges of inventory, forecasting and gauging demand for future seasons.